The Mashable post I wrote recently reviews seven of the best free font editors out there. 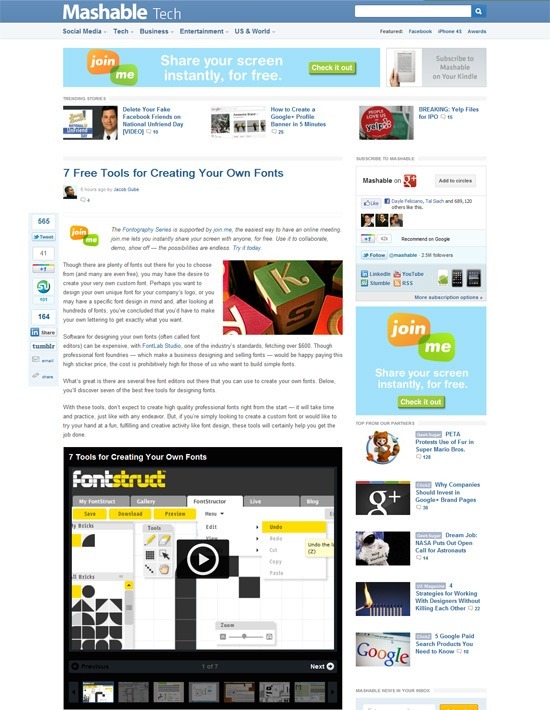 Some tools included in the post are FontStruct, FontForge and BitfontMaker. If you’d like to create your own custom fonts, one of the free font editors included in the post should fit your needs. Though there are plenty of fonts out there for you to choose from (and many are even free), you may have the desire to create your very own custom font. Perhaps you want to design your own unique font for your company’s logo, or you may have a specific font design in mind and, after looking at hundreds of fonts, you’ve concluded that you’d have to make your own lettering to get exactly what you want. You may also want to see more of my articles on Mashable. Also, please do follow the Six Revisions profile on Mashable.